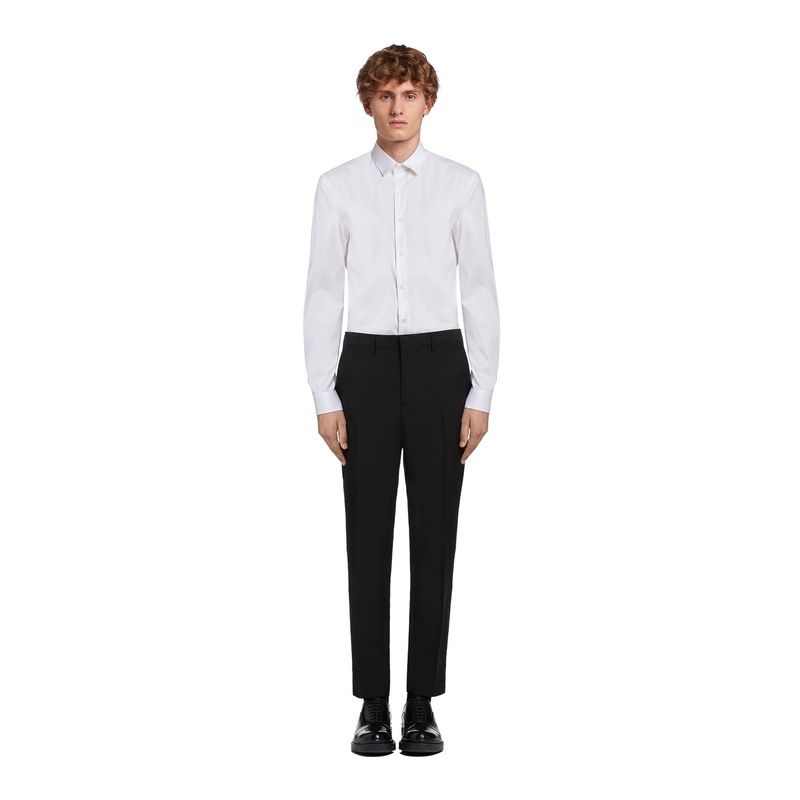 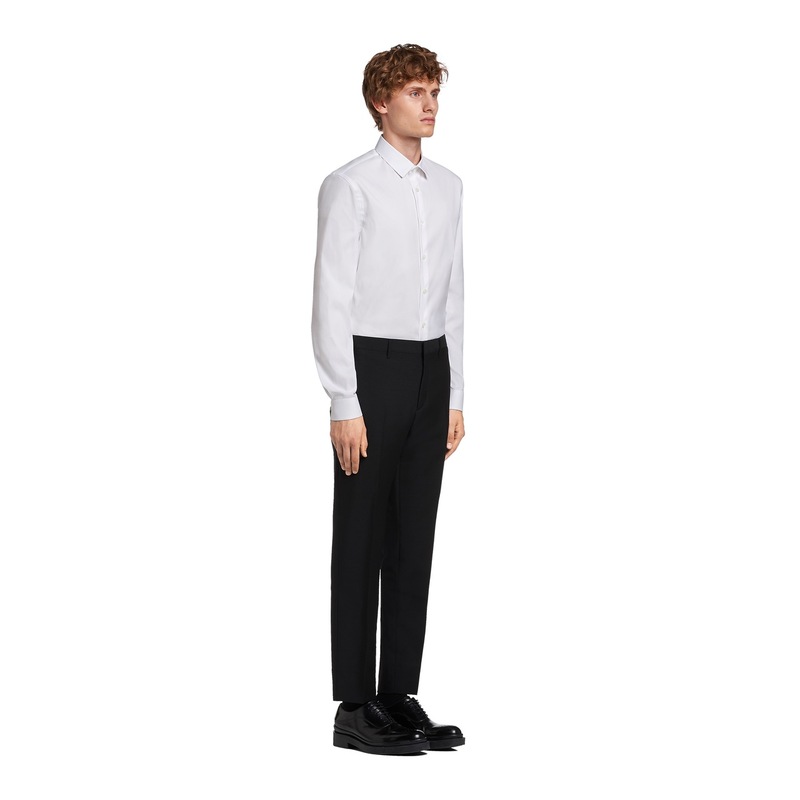 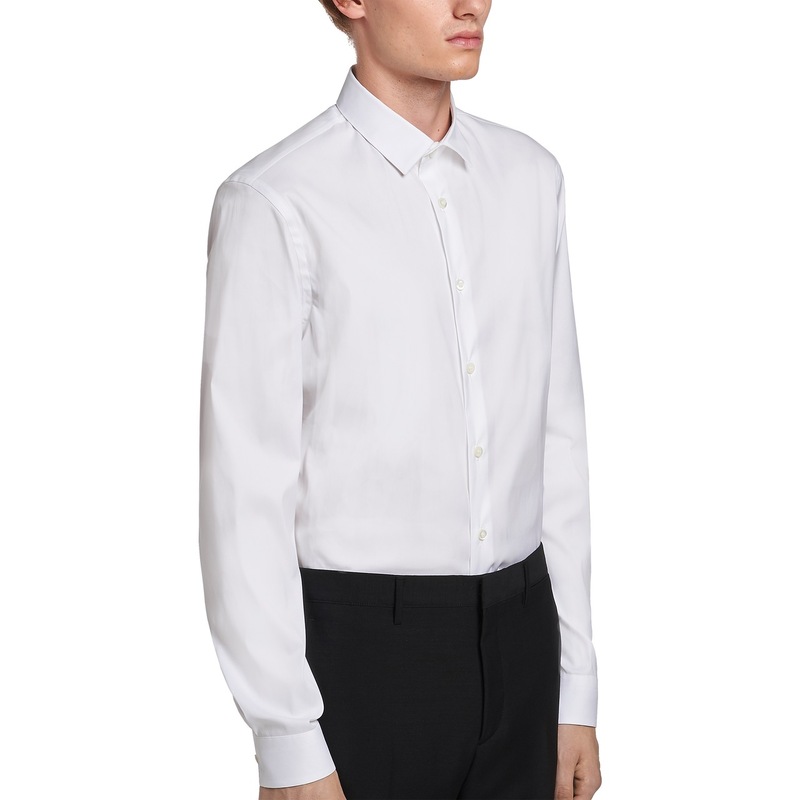 A stretch but very comfortable fit for this white poplin shirt from Prada. 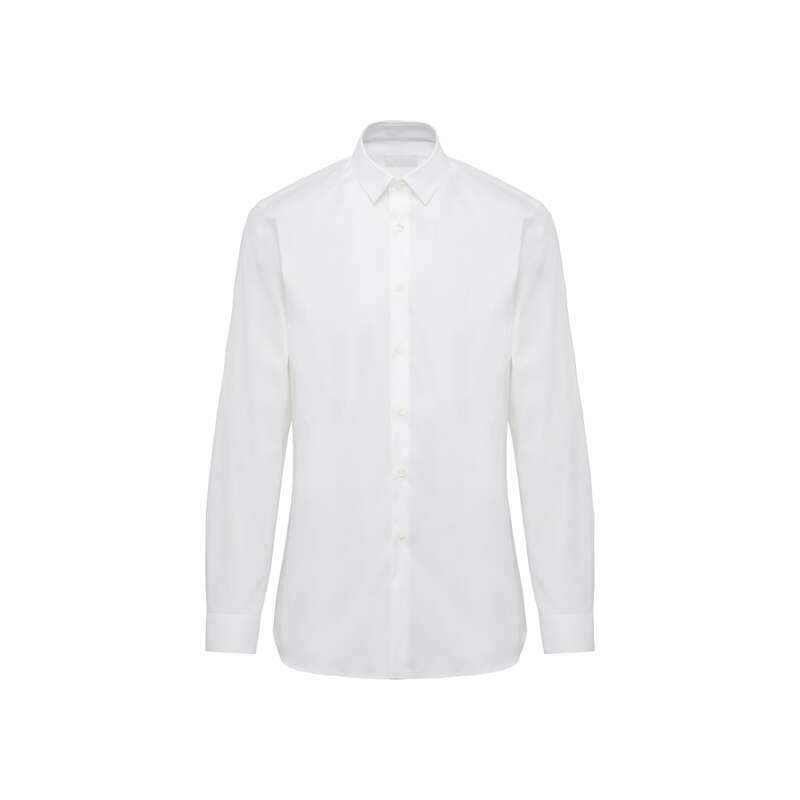 Classic unlined collar with mother-of-pearl buttons fastening on front and round hem. An impeccably tailored piece for every outfit.